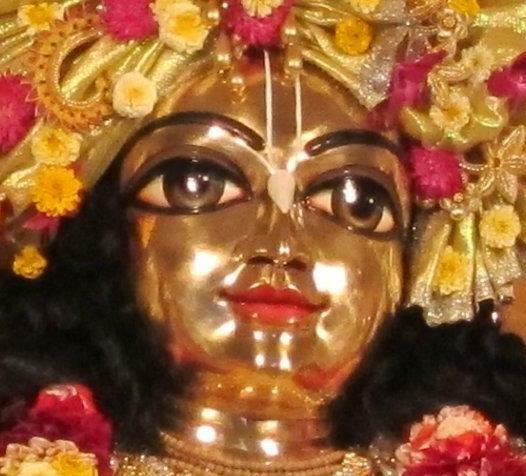 Lord Sri Krishna Chaitanya Mahaprabhu appeared 500 years ago in Navadvip, West-Bengal and is considered the most recent incarnation of the Supreme Personality of Godhead Sri Krishna. He left us only eight verses, called Siksastakam, in which His mission and precepts are revealed. 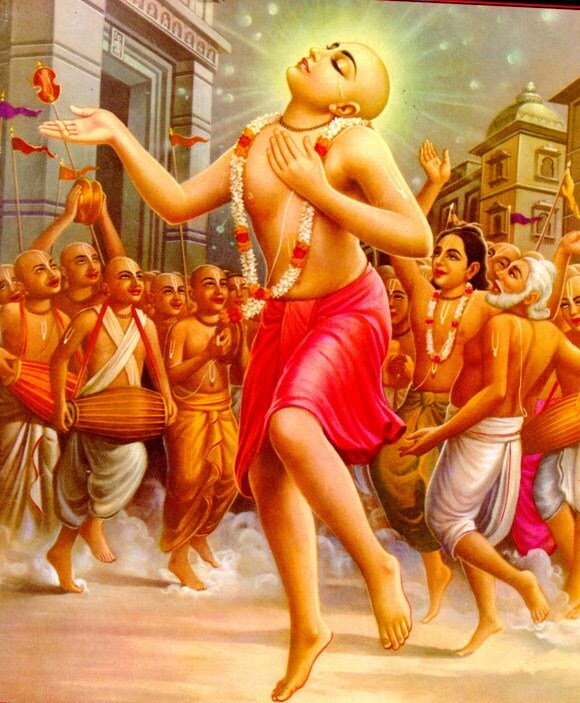 Lord Chaitanya Mahaprabhu (1486-1535) started His worldwide Sankirtan mission of propagating the chanting of the holy name of the Lord (the process of self-realization for this age – to meditate upon the sound of the maha-mantra: Hare Krishna Hare Krishna, Krishna Krishna Hare Hare, Hare Rama Hare Rama, Rama Rama Hare Hare). This is a quotation from the Vidagdha-mādhava, a drama compiled and edited by Śrīla Rūpa Gosvāmī. Lord Caitanya Mahāprabhu instructed His disciples to write books on the science of Kṛṣṇa, a task which His followers have continued to carry out down to the present day. 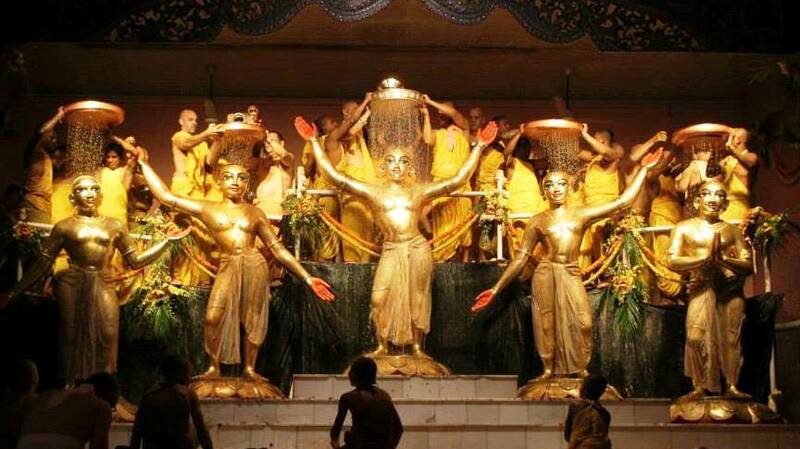 The elaborations and expositions on the philosophy taught by Lord Caitanya are, in fact, the most voluminous, exacting, and consistent, due to the system of disciplic succession. 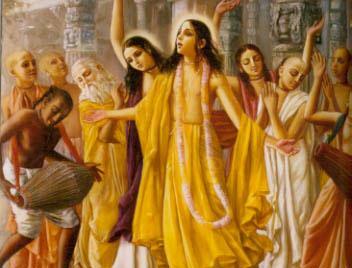 Although Lord Caitanya was widely renowned as a scholar in His youth, He left only eight verses, called Śikṣāṣṭaka. These eight verses clearly reveal His mission and precepts. These supremely valuable prayers are translated herein. 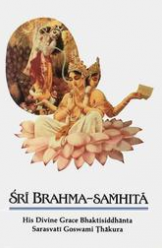 In his Sri Caitanya-shiksamrita he predicted a day when people of all nations, castes, creeds and colors would come under the banners of Sri Caitanya Mahaprabhu and dance together hand in hand in the universal church of the chanting of the Holy Name of God. He believed strongly that the sankirtana movement of Sri Caitanya Mahaprabhu would bring eternal peace and harmony to the whole world and for this reason he stressed the preaching of Sri Caitanya’s teachings, particularly through the medium of the English language in the world today. By studying the character, life and literary works of a great Vaishnava acharya, one can derive deep understanding of how to lead one’s life in such a way that devotion to God becomes manifest in the heart. 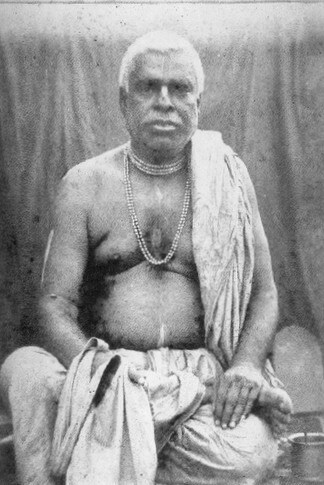 Although in the beginning of Thakura Bhaktivinoda’s life he seemed to display the activities of an ordinary mortal man, one should not wrongly think him to be so, for he is the dearly beloved associate of the Supreme Personality of Godhead Sri Krishna and it was by the Lord’s divine wish that he appeared on this mundane plane of existence, for the spiritual reformation of fallen humanity of the nineteenth century was in a miserable plight. There were so many off-shoots from the main stem of religion, each sect preaching its own philosophy, that people were thrown into utter confusion and did not know what the pure religion was. It then became a necessity for a leader to save the good souls who were hankering for their real welfare. To quench their thirst a bhakta-avatara was badly needed and that avatara appeared in the form of Thakura Bhaktivinoda. 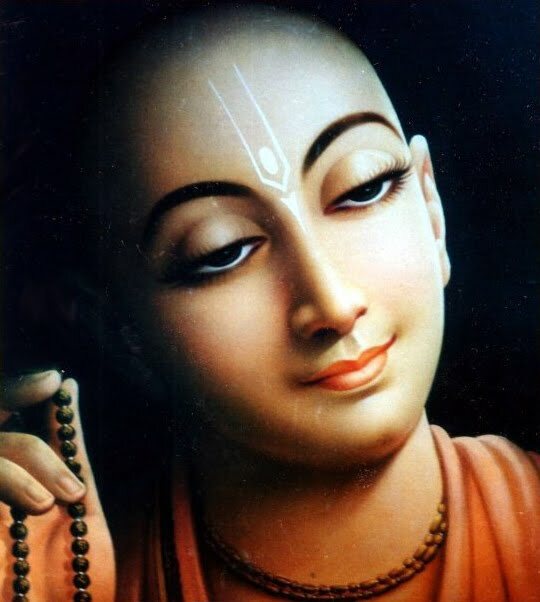 His religious disposition was observed from his very childhood and as he grew older he studied all the religious books of the world and appreciated the doctrines preached by Sri Caitanya Mahaprabhu as the most sublime of all and the surest path to lead the fallen souls to the feet of God. The enlightened and cultured men of the present age have now learned to honor this most sublime philosophy which the Thakura brought to light and which would have lain buried in darkness, had he not opened their eyes.